Party conference season has come and about to go. It is a time where the internal politics of each party are laid bare as members and supporters from across the country all congregate in a central location once a year. A melting pot of differing factions and views if you will. Labour Conference was kicked off by a march and rally attended by nearly 6,000 people. 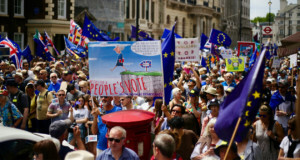 The People’s Vote March for the Many aimed to encourage conference delegates and the leadership of the Labour Party to adopt a position of backing a People’s Vote. Alongside the leaders of trade unions, members of the European Parliament and David Lammy MP, I delivered a speech which warned about the effect of Brexit on ethnic minorities and how it would harm the chances of getting a radical left-wing Labour Government. In the weeks and months leading up to the Labour Conference, many organisations including For our Future’s Sake, the youth-led grassroots group, put in a great deal of hard work to bring about change in Labour Party policy towards Brexit. From mobilising activists, organising phone bank sessions to helping local members draft motions. 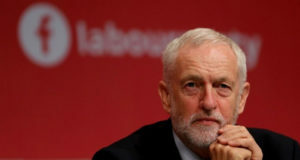 Of the 272 motions submitted by local Constituency Labour Parties to Conference, over half were on Brexit, with nearly all calling for the Party to pass a policy of backing a People’s Vote . 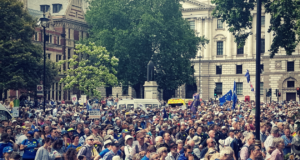 Whilst at Conference, there was also a daily distribution of thousands of leaflets and even the creation of an app, Together Against Brexit, which aimed to pool together the efforts of all those who were campaigning against Brexit at the Conference. 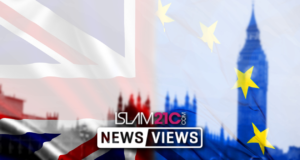 Success came last Tuesday on the penultimate day of Conference when delegates voted overwhelmingly to support a policy of having a People’s Vote if Parliament votes down the Government’s deal and a General Election isn’t called . Two days later, I spoke at the University of Manchester on a Students for a People’s Vote tour alongside a number of speakers including Chuka Umunna MP and Amatey Doku, Deputy President of the National Union of Students. It was well received, and the team have since delivered sold out events at Exeter and Hull Universities. Often a lazy argument put across by those advocating for a hard/no-deal Brexit is that those seeking to have a public vote are exclusively white and middle class. Neither David Lammy, Amatey nor I are white. We are proud Black British citizens and it is offensive to discount and refuse to acknowledge the efforts of ethnic minorities in campaigning for a People’s Vote. Another oft-heard misconception is that the People’s Vote campaign is London-centric. We marched in Liverpool, spoke in Manchester, had a national day of action last Saturday which saw over 100 groups from across the UK organise over 1000 different events which followed on from a summer of action where, mass rallies took place in Bristol, Edinburgh, Newcastle, Cambridge and Cardiff. Those people will also be offended at the lazy dismissal of their campaigning work in their local communities. The voices calling for the people to have the final say can be heard from every town and city the length and breadth of the country. Moving onto the next major party conference, the Conservative Conference began with the official conference app having a privacy leak – which gave access to the mobile numbers of journalists and Cabinet Ministers . Not the start the unstable Government would have desired. 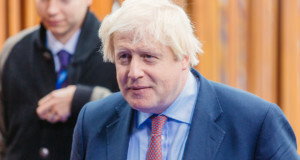 Boris Johnson was the main attraction at this year’s conference. He gave a speech the day before Theresa May was due to deliver hers. Many saw Johnson’s speech as a public audition for the role of Prime Minster. His speech not only focused on Brexit but controversial policy ideas around house building, taxation and policing. Theresa May’s much-anticipated keynote speech at the Conservative Conference went down better than last year which was fraught with mishaps – a persistent cough, falling stage pieces and May being served with a mock P45 by a prankster. This year, when not attacking Jeremy Corbyn personally or awkwardly dancing, she promised the end of austerity was in sight and that council caps on borrowing for housing would now be lifted. Although Party conference season is drawing to a close, the next few weeks and months will be some of the most crucial in a lifetime. 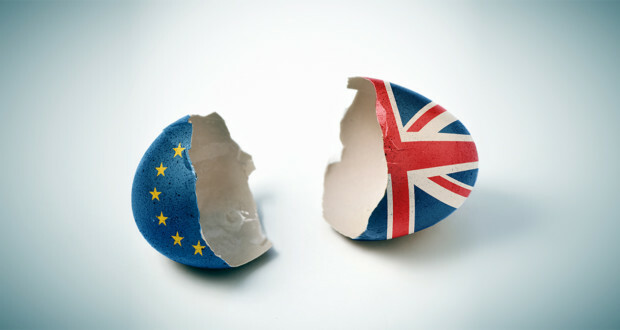 With less than 6 months to go before we are due to leave the EU, we are at an impasse – with talks from both sides coming to a screeching halt. Making matters worse, it seems Parliament will be in gridlock with no clear majority for any version of Brexit – which is why Parliamentarians are being encouraged to give the decision back to the people as a means of solving that gridlock. With such little time left, it will be impossible to deliver a Brexit deal that comes close to matching all the promises that were made in 2016. The Government are busy negotiating Brexit proposals with ideologues in their own party instead of negotiating a good deal for this country. The more the Prime Minister indulges the hard-right European Research Group, the wider the gap will get between what they want and what is achievable or most importantly, what is in the country’s interest. The reality is that Brexit will help the elite because it is of the right, for the right, by the right. The next few weeks will be defining for this country. We may see a constitutional crisis like never before. “Trust the People” is one of the most memorable Conservative slogans. Labour are the party “for the many and not the few”. I hope both main parties in the coming weeks take the decision of truly trusting the people and back a People’s Vote which would be in the interests of the many and not a select few. The Brexit elite cannot sort out this mess – only the people can.